Can rugby shoulder football’s concussion issues? 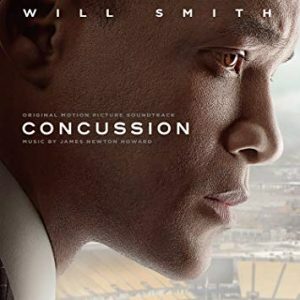 Dr Bennet Omalu in the Film Concussion (2015): “All of these animals have shock absorbers built into their bodies. The woodpecker’s tongue extends through the back of the mouth out of the nostril, encircling the entire cranium. It is the anatomical equivalent of a safety belt for its brain. I started my professional rugby career shortly after I left high school nearly twenty years ago. The game that I started, compared to the one that I retired from nearly two years ago, were like distant relations. Both games were in the same family, but with completely different priorities. One was filled with the remnants of lofty amateur ideals, the other a frequently brutally physical professional beast. It has long been documented that the physical impact of rugby has increased over the last ten years. Bodies have got bigger, and in turn, quicker, leading to bigger hits that thrill the crowds. As the game evolved, every player understood that superior defensive technique became an essential part of your armory. 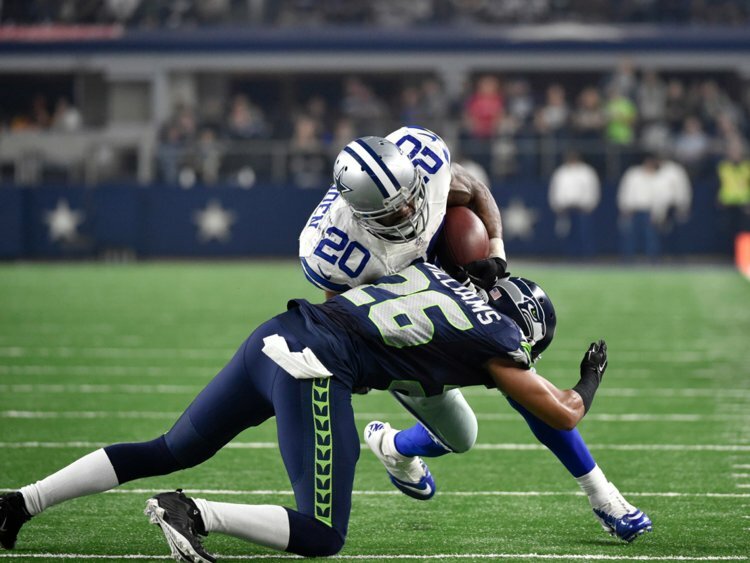 Since moving to Texas, I have become fascinated with the tackle in football. Moving to this state, it is impossible not to, the game seems to become the rhythmic heartbeat of its cities and towns. The dynamic nature of the game invites a myriad of physical hits to stop the opposition advancing on the field by any means necessary. A linebacker’s helmet is often as effective a weapon as their shoulder or forearm. Defensive coaches at every level are under intense scrutiny to stop the opposition’s offense at any cost whatsoever, even with the helmet. Yet, as the pendulum swings towards the debate on player safety, the discussion on effective tackle techniques that don’t involve head-on-head contact remains. This piece is not mandating that all helmet-to-helmet contact should disappear from football, especially at the elite level. The game’s intense nature ensures that this may well be an inevitability. However, I am proposing broadening the defensive playbook a few pages to learn other tackling regimes from other sports, in my case, rugby. In rugby, there is a feeling that regardless of the physical size or natural strength of the player, with proper technique and courage, they can knock any player backwards. By lining up your feet correctly, driving your shoulder effectively and using a player’s balance, any player regardless of their supposed disadvantages can dominate a collision. On rugby pitches throughout the world, young children are instilled with tackling technique before they are allowed to touch the ball, with New Zealand perhaps being the world leader in this regard. Young children are taught where to place their head to ensure that they are safe, and to use their shoulder to drive the opposition player back. Progressing through rugby as you get older, effective shoulder tackling can become instinctual. 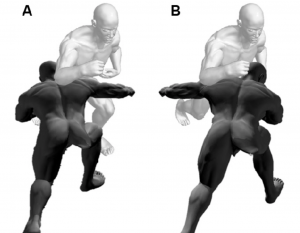 Like a rote learned physics equation from your old high school textbook, you understand that if a certain force is applied to certain area, it can make the physically superior sized body travel where you want it to, reaping rewards in the game while largely ensuring both players’ safety. In youth football, I firmly believe that there is a need to implement new tackle techniques, not only as a mode to ensure superior player safety, but also to a give a wider range of options for the defense, for both player and coach. The sooner the younger player is taught the better, and at a young age, this range of tackling techniques can be imprinted on their motor reflexes before they play full-contact football. 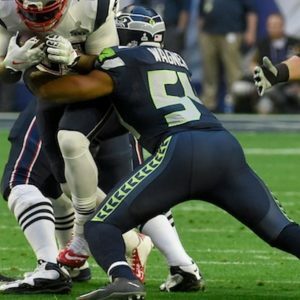 The lobby for effective shoulder tackling is growing, with Seattle Seahawks’ linebacker Bobby Wagner amongst its plaudits in the NFL. Closer to home, the Texas High School Coaches Organization along with the University Interscholastic League have signed a deal recently where all their coaches have to be certified in effective shoulder tackling techniques. The game of football is at a defensive precipice that does not need to be feared, instead, it needs to be embraced. By teaching youth players a range of effective shoulder tackling techniques, coaches are giving each player a wider range of defensive options that can help them flourish in the game for many years to come. Football is an intrinsic part of Texas life, and a valued one. The physical nature of this game ensures that young children learn the value of hard work, sacrifice and camaraderie with their team mates. These things are sacrosanct, and will not be lost in the debate for more effective shoulder tackling. For those of us who love the game, and want to make sure that our children share a bright future within it, there are only possibilities. Footwork – A large percentage of missed tackles are due to the defender not controlling their footwork in order to get into the perfect position to make the contact. Too many times the big hit mentality allows for the defender to be beaten by the attacker due to the defender’s inability to adapt his position in relation to the attacker’s movement right up until the very last moment. Getting your feet close to the attacker’s, with a big powerful step into contact is important for an effective collision ensuing. Tackler’s Height – If you are too upright, your ability to change direction in relation to the attacker is reduced. In addition to this, a lower tackling height will give you a better, more horizontal leveraged position to generate increased power into the collision. If you are too upright you are more likely to get bumped off by the ball carrier. Shoulder Contact – The top of the shoulder is the most effective part to make contact with. This forces the tackler to adopt a leveraged position which as mentioned will help generate more power. If you are making contact with the front of the shoulder it could be argued that you are too upright. From a safety aspect, contact with the shoulder and not the head must be paramount. In order to generate optimum power from a leveraged shoulder tackle, the back must be nice and straight, without any curving. Head Positioning – Probably the area where most improvements can be made. With a front on tackle the head should be positioned to either side of the attacker depending on which shoulder is used to make contact. With a side on tackle, the head should be placed behind (A), and not in front of or across the attacker (B). From a safety aspect this reduces the risk of a big head impact or neck injury from being put in a vulnerable position. It is important to make sure that the head is in a neutral position with the rest of the spine, and the eyes are always looking up at what is in front. Wrapping Arms – This ensures that the attacker doesn’t bounce out of the collision after contact is made, and so that you ultimately bring them to the ground. It is important to note that the tackle is not initiated with the arms. The shoulder makes contact first with the arms wrapping immediately after. If the shoulder is not the first point of contact you are losing the chance to dominate the collision. Are you a parent or coach who wants to make sure your young athlete is being taught the safest and most effective tackling techniques? Then SIGN UP to our newsletter to stay up to date with our regular classes and camps!